My philosophy of care is to provide exceptional service to the patient and family, and to integrate my care with the patient's other physicians. First visit to Dr. Gitelman to shift care to Advocate. Dr. Gitelman was very thorough and took time to do a comprehensive evaluation with additional diagnostic blood work and records requested. Very happy having him as my doctor. He pays attention to what I have to say, answers my questions in detail, is courteous and very professional and on each of my visits he has taken the time to listen to my concerns . Dr Gitelman is always very thorough, professional and caring. He has the highest standards and is the standard by which we measure all other doctors. We are very thankful to have him helping us on this journey through Dementia. He is an excellent Doctor. he's the Best doctor and really cares ! Dr. Gitelman is a calm, soft spoken individual. He is comfortable to talk to - I think he is a kind & caring doctor. I feel fortunate to have him as my husbands physician. Was an excellent experience. The doctor listened tow hat I had to say & responded to my concerns. Hadn't apprciated that care givers really felt a true responsibilty for my health until this latest experience. my sister and I value and appreciate Dr. Gittlemans' knowledge and expertise, along with his direction which is always accompanied with empathy and great listening skills. Dr. Gitelman is one of the most caring and thoughtful physicians that have cared for my health. The appointment went very well. The physician was very attentive. Dr.Gitelman was recommend as a specialist in memory issues and I was not disappointed in his approach to my needs. I will follow up and continue seeing him. This was my initial visit. very good experience and guidelines! Advocates decision to mandate 15 minute appointment times does not provide adequate time f/evaluation/time with patient. This has to stop. The doctor should decide amount of time needed with patient. Wonderful caring MD, person, very helpful understanding. Dr. Gitelman is a very attentive & thorough dr. Asked a lot of questions & gave me a great deal of information. Wonderful dr.
Dr. Gitelman is the VERY TOP dr. in his field. Dr Gittelman is always very professional, knowledgeable and approachable. We were so impressed! We have not experienced such amazing care. It was beyond our highest expectation. Thank you Dr. Gitelman! He was recommended by my family doctor because memory problems. I'm very pleased with Dr. Gitelman, the neurologist who is presently treating me for my memory problem. He listens to me. Dr Gitelman was willing to see me before my scheduled appointment since he had a cancellation. He was very thorough, kind, knowledgeable, and courteous. He listened to my concerns and explained all his findings. I was and am very happy and thankful for his help in my health and well-being. Dr. Gitelman always provides us w/a great deal of his time and answers all of our questions. He has a great deal of knowledge and is easy to speak with. Dr. Gitelman was very good and very nice. The only complaint was that he wrote in my file, "Looks HER AGE! Now was that necessary? It took 3 months to get a return appointment following testing. That is a LONG time. The office clerk/receptionist told me she was a temp and was NOT helpful. I had to call back several times AFTER THE APPOINTMENT I THOUGHT I HAD DID NOT EXIST. I was told I was put on the "waiting list" to move up for an earlier appointment. I never received a call. Very disappointing. My sister has Alzheimer's and lives in an assisted living situation. I am her poa for health care and everything else. I take her to medical appointments, dentist, eye dr., etc. I love her and care deeply about her care and well being. I am very sensitive to her feelings. I do think that it would be better, if the dr. talked with the patient and the care giver separately and together to get a better perspective on things. I hesitate to say some things in front of my sister for fear of hurting her feelings or getting her upset.Other than that, the dr. was very kind and professional. 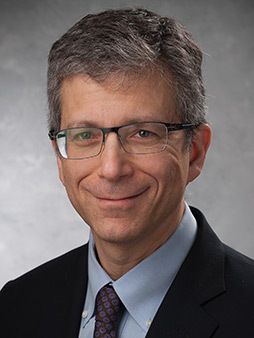 Dr. Gitelman is an outstanding provider of memory-related service. He exceeds the _____ of thoughtfulness & skill. Dr Gitelman has been most trusted provider to my family. Dr. Gitelman is extremely patient and listens to the patient and family. Explains things an easy to understand terms. Follows up personally with test results and returns calls/concerns in a timely manner. Dr. Gitelman is exceptional & my advocate in communicating with nursing home doctors. I am very fortunate he cares & works to address my overall health as well as mental & emotional health. Within 2 visits the doctors at the nursing home have been more proactive with my health issues - Thanks to the 2 visits with Dr. Gitelman! Dr. Gitelman went through my issues and helped me understand what I was going through. We then started me on items that have really helped me. Dr. Gitelman and the receptionist were very professional and attentive to my concerns. Very helpful, took time to explain. This was the initial meeting with many to follow. The Dr. was focused on the tasks at hand, easy to talk to and very productive. I am now obtaining an number of test results for him to review prior to our next meeting. very professional. Answered all questions. This doctor is has great bed side mannera, very nice. He listens and doesn't rush through the tine we apend together. I jave liked him since I first met him. Very Professional, Doctor made me feel comfortable, and confident that he understood my concerns. I like Dr. Gittleman he is always though and always respectful. One issue I have with the office is that this is the memory center and it does not have a bathroom inside the office. when you are dealing with an Alzheimer's/ Dementia patient to get them down the hall and to use the bathroom that is closest to the office, it has no handicapped stall. I know the bathroom by the elevator does have one, but patients with mobility issues this is a huge issue for the patient and the caregivers. Dr. Gitelman was like a "gift" to our family when we were searching for answers for his health problems. He was very patient with myself and my two sons as he worked on the diagnosis and explaining how the disease would progress. WE have always found Dr. Gitelman to be a caring provider. Very professional - He still carries a little black bag. Listened very carefully and considered all I had to say. The people in this office are great. They made me feel comfortable. In my opinion, this doctor does his best. Very profession doctor & office. Highly recommend MA super sweet & courteous. Helpful I hope it works. Excellent - would recommend him to family or friends. Very pleased with time spent w/dr. I have never been to any doctor at Advocate, came for a consultation. Was VERY VERY impressed with this doctor. All of my doctors are at Northwestern. Great guy & doc! Always a very pleasant visit - office & personnel are very good - Dr. G. is so very kind to his patient. Never felt rushed - all questions answered - felt concern for condition. He is a very good, competent neurologist: he listens to you and talks in terms that you can understand. Very competent. As always - our time with Dr. Gitelman was a good experience. It was my first visit. He was recommeded by my primary physician. I was very impressed with the time he took explaining to me my illness and necessary future steps I needed to follow. Took time and carefully listened to my concerns and was very professional. Dr. Gitelman was very attentive & thorough. I was a bit apprehensive about an appointment with a new doctor. I discovered, beginning with the staff, everyone was pleasant and took time with my husband & daughter, who were with me to talk with them. Discussed changes in mental condition and possible changes in medication. The doctor is very approachable and willing to try different options. He also followed up on other medical concerns to make sure they were being taken care of. I am very pleased with my experience with Dr. Gitelman. He has been quite helpful and I feel like I am coming back to normal. This office is the best of all the doctor's that I see. They work together as a team and I like that. Dr.Gitelman takes great care of me. He always calls my wife back on the same day. He is a great man & a great doctor. I am very lucky to have him taking care of me. We were extremely happy with Dr. Gitelman. I was very impressed with Dr Gitelman and his staff. I was not sure how this appointment was going to go with my father and he made an uncomfortable situation as comfortable as possible. This was my first visit. Dr. Gitelman listened and provided helpful advice. At first I was slow in telling the problem- then he made comfortable to open up more then I thought and was comfortable telling him. We were pleased with Dr. Gitelman's thoroughness and the time he spent with us. He followed up on our answers to his inquiries with physical evaluation & assessment. We also received a written summary of the visit which helps us review information & clarify it as needed. He was very polite and ask me questions and I answer him right away. My son was in the office with me and he would tell the doctor about my speech. The doctor would examine me and told me to walk. Took care of my needs, very helpful! Dr. Gitelman - very kind to his patient and understanding of the situation. Dr. Gitelman is a compassionate, informed & pleasant physician. Dr. Gitelman has been my husband's neurologist for seven years now. We find him extremely thorough as well as compassionate. I am very satisfied with the office clerks service. Excellent nursing staff - Excellent provider that takes his time to _____ and explain my condition and management plans. I was very satisfied with the help I received from Dr. Gitelman. As always Dr. Gitelman exhibited the highest level of expertise & care for the patient's. health eNews with Darren R. Gitelman, M.D.